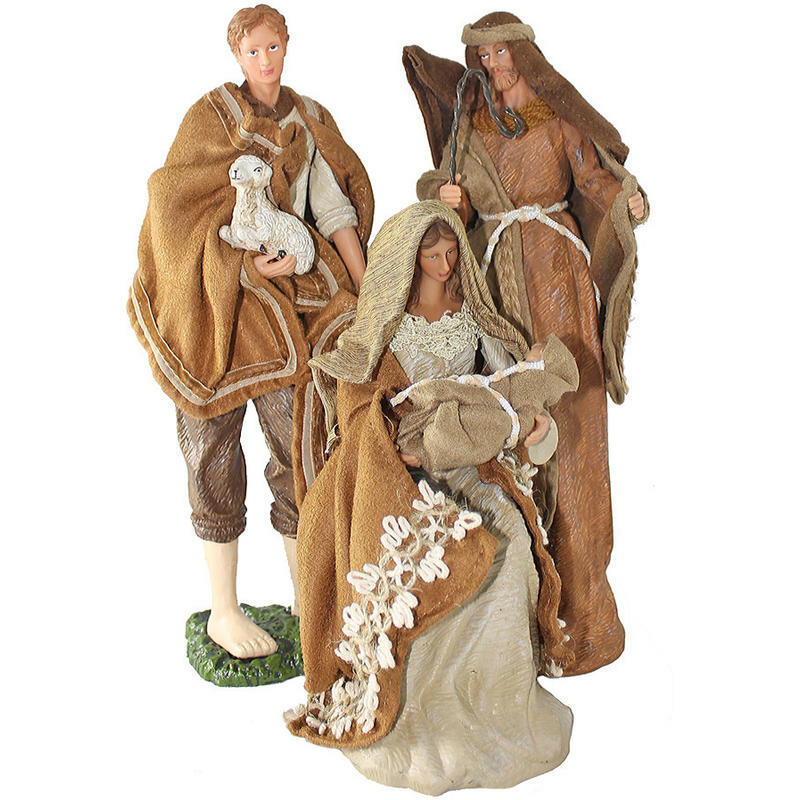 The true meaning of the holidays is captured with this beautiful Nativity Set of 3. 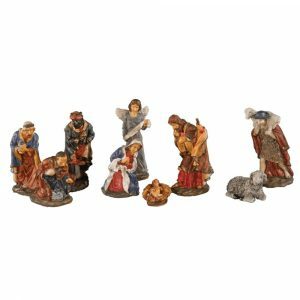 This set consists of three figures which are eloquently depicted in polyresin detail. They measure around 37cm in width, and around 41cm in height. The set is comprised of Mother Mary cradling Baby, Joseph, and the sheep herder. The herder is holding one of his flock, and Joseph carries the long shepard’s hook in his hand. The mother has the sweetest expression as she looks down at her beautiful child. This is a timeless and sentimental accent for the season, and would be one that many on your holiday gift-giving list may appreciate also. Consider giving this lovely set to a friend or family member that you want to convey the true meaning behind the holidays to this Christmas.